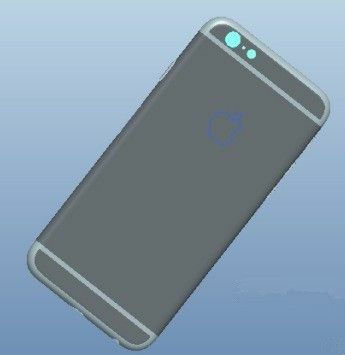 This isn’t the first time we’ve seen rumored schematics for Apple’s upcoming iPhone 6, but this time we’re presented with a detailed set of 3D renders. These images are claimed to be the source of design for all of the recent dummy iPhone 6 units that we’ve reported on, and allegedly, from a supplier based on Apple’s design. We’re a bit skeptical of these renders, as anyone should be when dealing with these types of leaks. These images were originally obtained by the Wei Feng network (via G4Games) from “informed sources.” These alleged 3D schematics include dimensions and look very similar to all of the mockups that we’ve seen in the past. These images are fairly detailed, but there’s no way to tell if they will line up with Apple’s official design when it’s released later this year. As we’ve mentioned before, this rumored design takes inspiration from Apple’s fifth generation iPod touch, mimicking it’s thin design and curved back edges. Along with that, the 3D schematics (and mockups we’ve seen) feature a relocated power button, redesigned volume buttons, and are sized properly to house a 4.7-inch display as previous rumors have indicated. If anything, these are simply schematics based on rumors and speculation that have been used to manufacture previously leaked dummy units. For a closer look, check out the gallery below.